Water sports: We had a very large (100ft x 30ft) pond near our house. During summer the coconut trees, nutmeg tress, mango tress, all were watered. We had a proper underground irrigation system with access points in each plot for easy irrigation. I learned a lot about plumbing while we installed the system. We were more than happy to water the plants as it gave us an opportunity to play with and in the water. 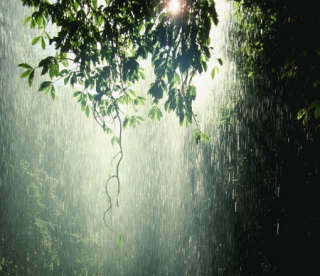 The fact that we used to get drenched completely was not at all a problem but a welcome relief from the sweltering heat. Another activity that I loved was cleaning the pond and catching the fishes. During the peak of summer, when the water level in the pond was at it lowest (it never used to dry completely), my dad would hire a diesel pump and the pond would be pumped dry. The along with our workers, my brother and I would get in the pond (which was about 25 ft deep) for cleaning. The fun part was catching the fishes in the pond. The little fishes that were put after the previous monsoon would have grown and there would be other fishes that came in during the monsoon season. We would use nets and cane baskets to catch these fishes. Since the water level was very low it was an easy task. Once the fishing was over we would stop for lunch. The fishes would be divided equally between all participants. The workers would take their share home when they go for lunch and we would take ours. After lunch, the cleaning process will start. The walls of the pond will be washed with the water pumped from the pond and then the clay and mud that got settled at the bottom during the year would be removed. It would be lifted up in buckets and would be dumped in the paddy field. Finally after removing most of the dirt the water in the pond would be shaken and stirred thoroughly and the muddy water would be pumped out leaving the pond really clean. By the time all these activities were over, we would be dead tired and fully covered in mud, but it was fun. The bigger mangoes were plucked before they were fully ripe. One of our workers would climb and would pick the mangoes using a long bamboo stick with a basket and a notch at one end. He would then throw the mangoes down where my brother and I would be waiting with a jute sack or bed sheet—one person at each end—to collect them safely. It was nice catching practice! Then there were mangoes that were reserved for making tender mango (kanni manga) pickle, cut mango pickles and salted mangoes (uppumanga). These mangoes were plucked during different stages of their development. The mangoes for tender mango pickle were plucked when the mangoes were still young, small, and tender and the pickle is made by putting the whole mangoes in the pickle mixture—a very spicy mixture of red chilli powder, salt, oil, vinegar and so on. The mangoes for salted mangoes (uppumanga) and other cut mango pickles were plucked when the mangoes are fully grown but before they start to ripen. For salted mangoes also, the mangoes are not cut. They are thoroughly cleaned and put in earthen pots (uppumanga bharani) with salt solution. In about 3–4 months they will be ready for consumption. There were different types of cut mango pickles. For these, the mangoes are washed in water and cut into small pieces. Some times the skin is peeled off. The size of the cut pieces and whether to peel the skin depended on the type of the pickle. My mom and her two assistants would be working for days to make these pickles. Except for the salted mangoes, there will be red chilli paste, oil, vinegar and a lot of other spices that go into the paste to which the mango pieces are added. The aroma of these ingredients was simply irresistible. Then there was a wonderful item called ‘thera’ (mango candy). It is made by spreading ripe mango pulp on a mat, drying it under the sun and repeating the process for 10-14 days. It was very hard work and the end result is a 4-5mm thick brown sheet of delicious mango candy. Tender Coconut, Water Melon and Sweet Cucumber: During summer we consumed huge quantities of tender coconut water and the soft coconut flesh, watermelons, lemon cucumbers (kani vellari) and sweet cucumbers (pottu vellari). The coconuts were the reddish ones. These coconut trees (chenthengu) are planted solely for the tender coconuts. 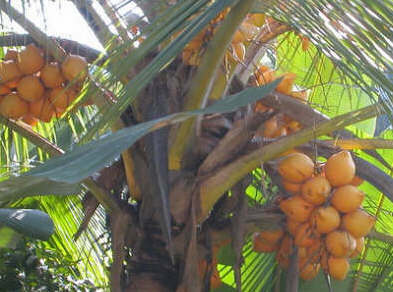 They usually won’t grow very tall, so the coconuts could be plucked easily as and when required. Buttermilk and Lassi: Two other drinks that were consumed in large quantities were buttermilk and lassi. My mom’s buttermilk recipe was handed to her by her mother. It contained more than 10-12 ingredients—salt, crushed ginger, green chillies, finely chopped curry leaves, lemon juice, vinegar, crushed red onion, tamarind water, crushed cumin seeds, finely diced tender coconut pieces, etc. It used to taste heavenly especially when drinking after playing in the hot sun. Another drink from the same family, but slightly richer in calories, was Lassi. We used to make both varieties—sweet and salt. Sometimes we used to make mango and pineapple lassis. But I preferred the plain sweet lassi. Lime Soda: This was one of star attractions of summer. It was a very potent drink. It was made by mixing lime juice, ginger juice (the juice got from squeezing crushed ginger pieces), salt, and sugar all in ample quantities. We had a soda making machine and we used to make soda and keep it in the fridge. The mixture is stirred well with a little water. 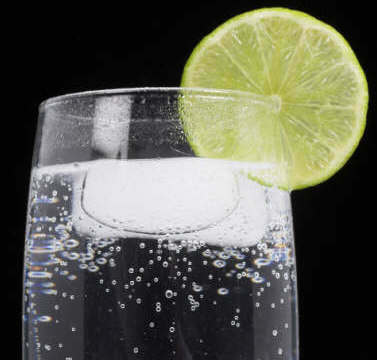 Then cold soda is added to get a wonderful drink. Paddy field Cricket: During that time of the year, the paddy fields would be empty. The harvest and associated activities would have been over and the next season would begin only after the monsoon. So we had the entire paddy field for ourselves. We would prepare the pitch in the center. Since we didn’t have any rollers, we used a wooden log to roll the pitch. Cricket was played with proper cricketing gear. But there were only three players—my brother, sister, and I. My sister was the fielder. Since we didn’t have a wicketkeeper, we used to erect a fence about 6–8 feet from the stumps. Each player would get 5 chances to bat at a time. My mother used to be very relieved when the venue got shifted from the courtyard to the paddy field as her plants and pots as well as the windows will be safe. I am not tagging anybody, but I request all who have time to do this tag. It really is a wonderful experience. The longer the better when Alexis writes! I enjoyed reading this so much. Everything except cricket and studying(!) seemed like going to back to hot summer days. Just reading your account of childhood summers made me feel like getting soaked in cold rain on a hot summer day:-) Too bad about the notebooks. 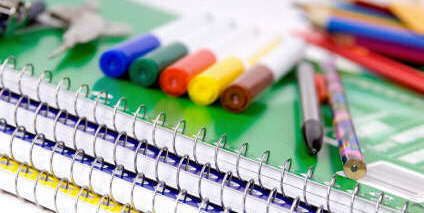 But this account alone has made me realize how studious and organized you must be. We were allowed to play in the first summer rains. It was a deal between us and our parents. Besides the usual rains in Bangalore was no fun at all as it would be cold. Those mangoes you get in Kerala have so much more flavour than the mangoes that you get here. And the familiar sound of the magoes falling was music to the ears! My ammachi made a variety of things with Uppumanga, including a delicious salad made up of chopped onions, green chillies, curry leaf, coriander leaf, coconut milk etc. It was yummy!! She also made a really yummy ripe mango curry! She was a whiz in the kitchen and I dont see any of the dishes she made being made today! This was an exact replica of my summers in Kerala except the studying part. Great post! Anju: During those days the first activity in the morning is collecting the mangoes that had fallen in the night. Those went for the ‘thera.’ The mangoes that fell during day belonged to us. The uppumanga salad (uppumanga chalichathu) is great combination with kanji. The ripe mango curry (pazhamanga curry) was very delicious. We used to eat the curry as the main dish and rice as the accompaniment. It is sad that these dishes are not made today. Today, the kids only need pizzas, burgers and fired chickens. They don’t know what they are missing :-). The link, that I have given for uppumanga shows how the uppumanga salad is made with some really nice photographs. Remember kani maaga… those really small ones that are used to make curry. I love Mangoes and karrikku. Soda naranga vellam, I thing U get that only in Kerala…..Even this trip I had a “Cheta oru soda naranga vellam…” moment. Very beautiful pictures !! Captures the essence of summer very well. Nice post. It poured Heavily here yday. And summer has cooled down :). But still I yearn for that Soda Sarbath. Dhanush: I can drink the soad naranga vellam anytime and in huge quantities. We used to drink 3-4 glasses after playing football/cricket/basketball etc. while in college. There was a tattukada in front of our college were we used to get good soda naranga vellam–cold soda, good naranga with lots of sugar and salt. Happy Vishu too. Do you give vishukaineetam to your nephews and nieces? butter milk description makes it so tempting..cant imagine a better drink in summer..er leave the beer!! Enjoyed reading this tag.made me want to go get some mangoes.especially love the green mangoes with salt. What a wonderful post to read on Vishu! Makes me so nostalgic about summer holidays spent in Kerala, though it was nothing as colourful as the ones described by you. We also had a lot of mango trees and used to help in catching them with a sack. It was real fun. The narangavellam u get in Kerala u don’t get that anywhere else. When we used to go to Kerala, we used to take a suitcase full of books to study and do the holiday homeworks that we got, but I don’t think we ever opened even one of them….lol. Nanmayum, aishwaryavum, santhoshavum niranja Vishu aashamsakal. chekku: Thanks buddy…“…kinda had allergy towards study books…” LOL. Hope you are having a nice time. lalitha: Thanks lalitha. Green mangoes with salt was part of our daily diet during summer holidays. Suji: Thanks Suji. You had caught mangoes using the sack. Was great fun. And regarding packing the books and not opening them…really funny..LOL. Hipe you had a nice Vishu. Dhanush: Hope you had a nice and vishu and gave good kaineetams to you nephews and nieces. Bindu: Thank you. Yes, we all similar memories. Read the article by Kavalam Narayana Panicker. Really good. monsoon, is my the most fav season too! I miss here playing in downpouring rains 🙁 when it rains here even in the summer, it’s gets so cold, i can’t stand beyond 5-10 mins in the rain. 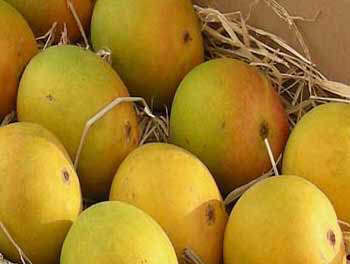 yum yum, mangoes, mango is called the king of the fruits, well deserved! I love the yellow flowers you have posed in the pic, it blooms in the deadliest summer, i remember! Happy Visu to you too..
nowadays – the new generation- kids wont get a chance to enjoy the vacation as we did. 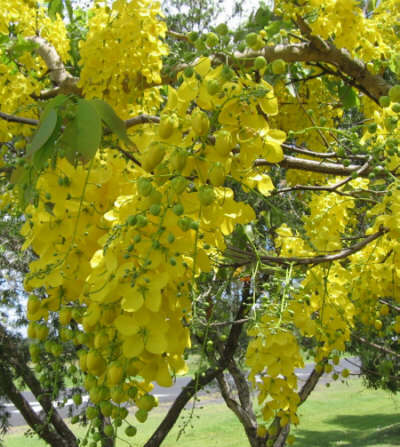 venus: The yellow flowers in the post are ‘konna’ more popularly known as kanikonna flowers as they are an integral part of the vishukani. Chackochen: Thanks buddy. Yes, what you said is true. The new generation kids usually won’t get a chance to enjoy the vacation as we did. Sad but true.